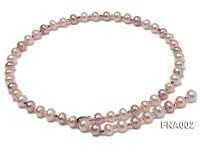 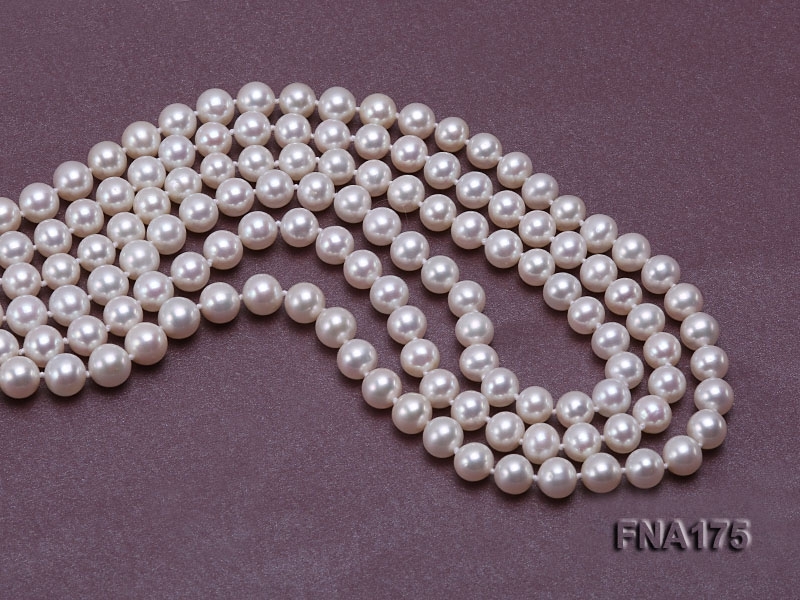 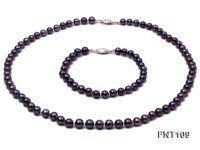 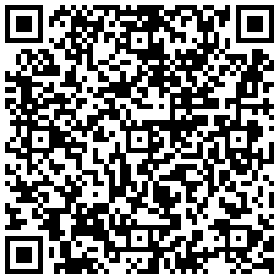 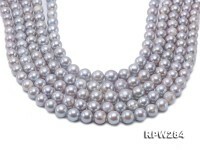 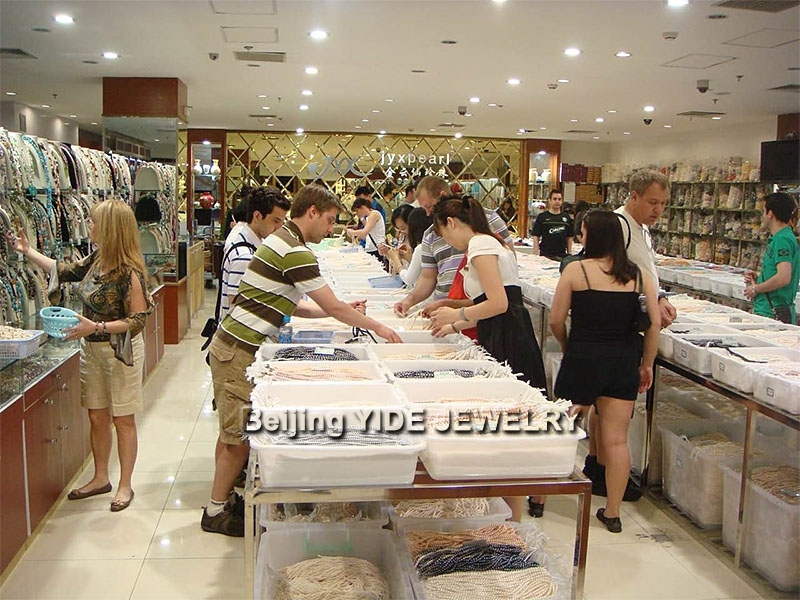 Prime quality three-strand 7-8mm white round freshwater pearl necklace for sale. 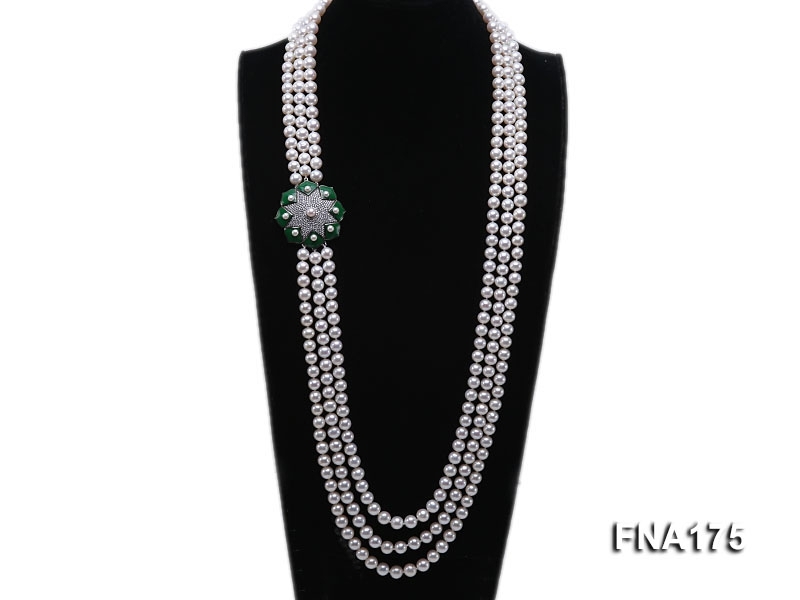 Every single piece of pearl is carefully selected and strung manually with a knot in between to ensure utmost dignity and nobility. 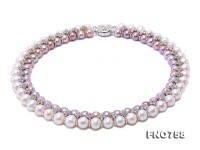 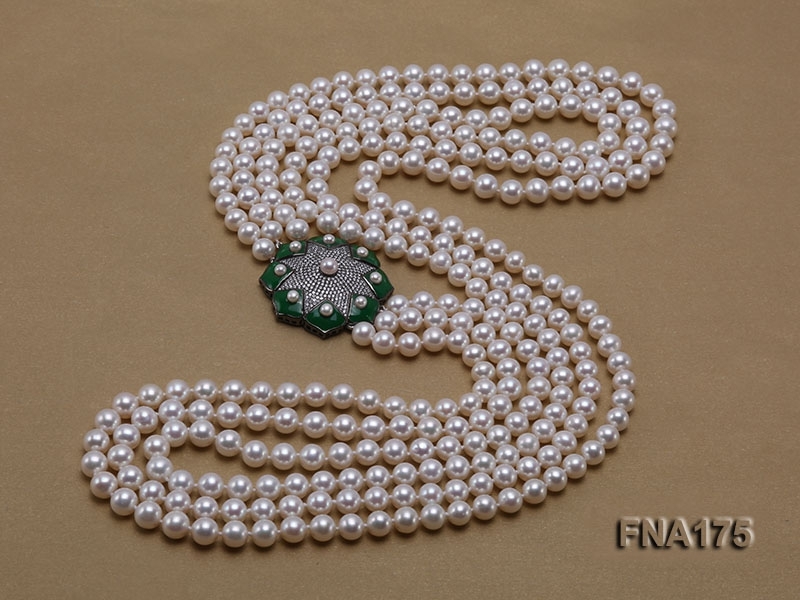 Three strands of freshwater pearls measure 33-36 inches long and are connected by a delicate sterling silver accessory which is further decorated with colorful zircons. 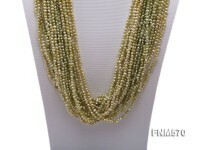 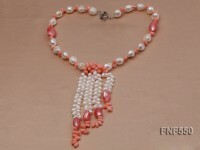 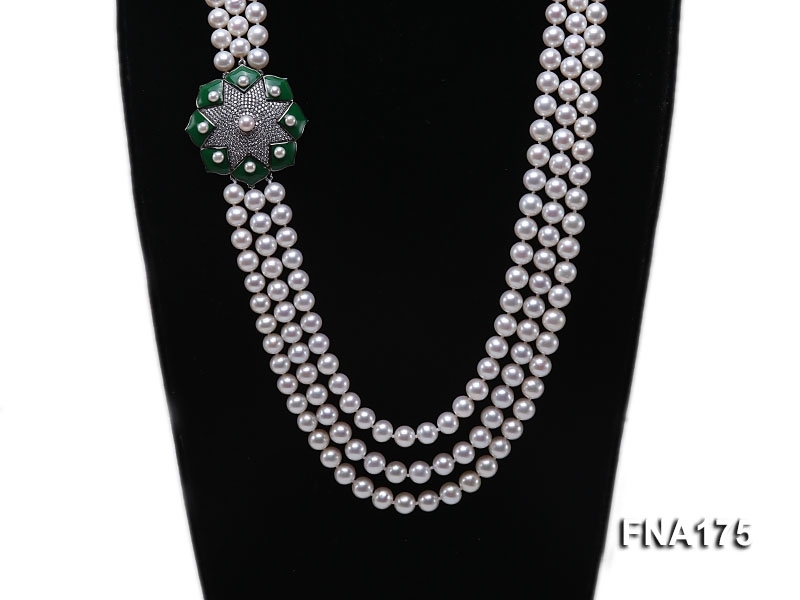 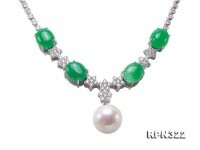 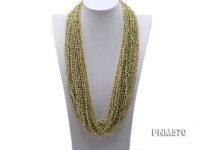 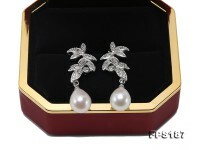 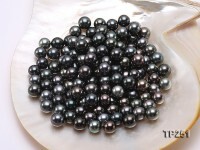 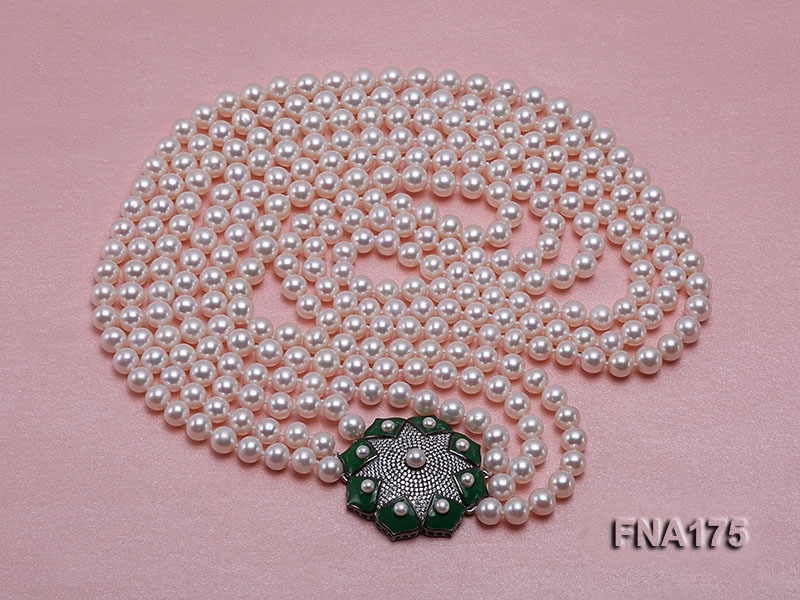 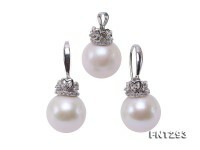 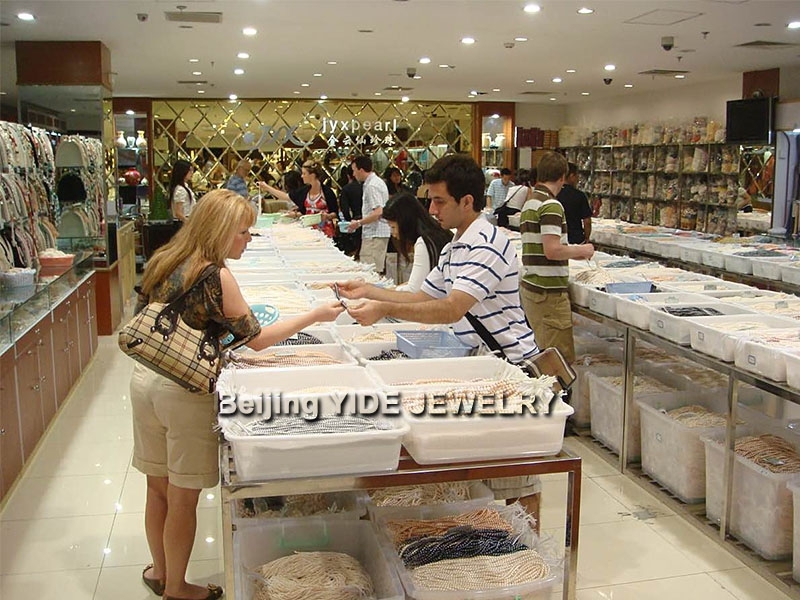 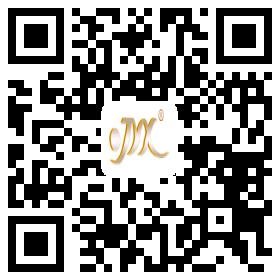 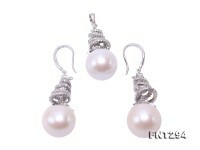 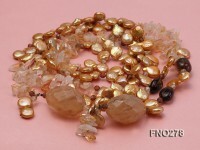 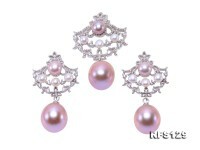 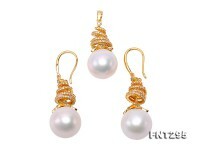 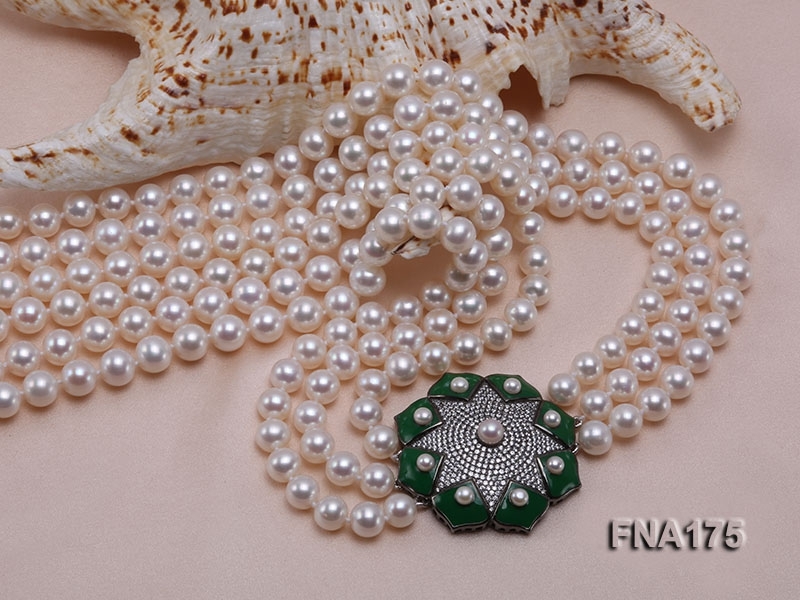 The pearl necklace makes perfect party jewelry for important occasions like wedding, privileged party and so on.